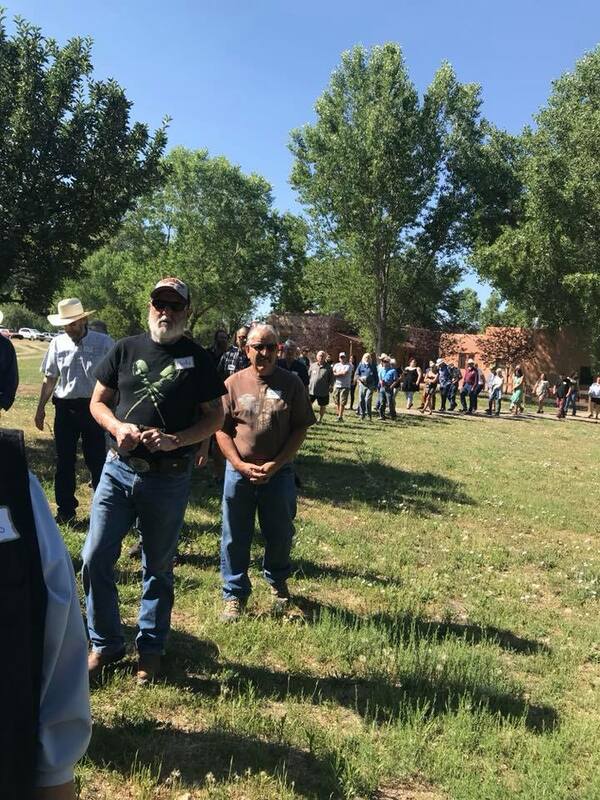 The New Mexico Acequia Association is pleased to announce another successful statewide acequia conference on June 21th 2018 at Los Luceros Historic Ranch in Alcalde. This year, we focused on the struggle of drought and highlighting innovative ways that acequia leaders are managing water, enhancing soil health, and more effectively communicating with our neighbors to overcome dry times. The morning began with a procession to the orchard where the Hermanos Penitentes lead with a prayer for San Ysidro, setting the tone for a day in deep meditation for rain, water and one another. There was a dynamic and very heartfelt conversation that carried on throughout the day. Acequia farmers shared their experience in sharing water but also what is not working within their communities that makes farming in New Mexico one of the most difficult. 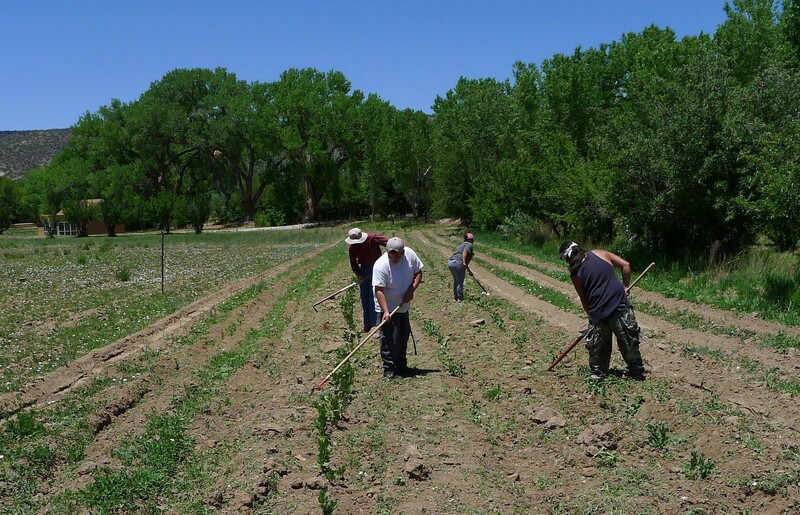 In unity, the larger acequia community leans on one another, lending out knowledge, seeds, and wisdom to help one another continue to farm and preserve our cultural heritage in times of uncertainty. We want to personally thank and celebrate all of you for making the time and effort to be there and for bringing the knowledge back to your communities. Special thanks to Norma Naranjo who prepared a delicious meal for lunch, Donne and Edward Gonzales who facilitated an educational drip irrigation demonstration, and all of our presenters who shared knowledge about farming methods that are feasible with little water. Please look for a full summary of the conference in our electronic newsletter in July! WASHINGTON – June 28th, 2018, U.S. Senators Tom Udall (D-N.M.) and Martin Heinrich (D-N.M.) announced that they have secured a provision in the Senate’s 2018 Farm Bill to make acequias eligible for grants and technical assistance from conservation and environmental programs through the U.S. Department of Agriculture’s Natural Resource Conservation Service (NRCS) to increase agricultural water efficiency and further conservation of soil, water, and other natural resources. Acequias provide water for many small and traditional farmers in New Mexico. 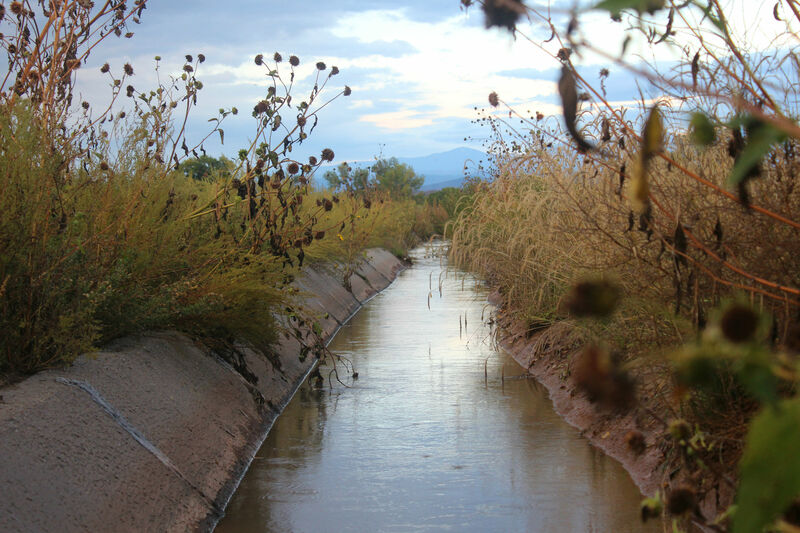 There are hundreds of acequia associations throughout the state that will be eligible under Senators Udall and Heinrich’s provision. Udall and Heinrich have long worked to help New Mexico’s traditional communities access federal programs and funding for water and resource conservation projects. In 2017, the senators introduced the Providing Land Grants and Acequias Conservation and Environmental Services (PLACES) Act of 2017, legislation that forms the basis of Udall and Heinrich’s farm bill provision. The 2018 Farm Bill improves upon the PLACES Act by granting acequias direct access to NRCS programs by expressly including them as eligible entities for NRCS programs. This cuts red tape and allows for parity with other producers. The bill makes acequias eligible for grants and technical assistance from the NCRS Environmental Quality Incentives Program (EQIP), Conservation Stewardship Program, and Agricultural Conservation Easement Program. The Environmental Quality Incentives Program helps agricultural producers adopt practices that ensure sustainable production on farms, ranches, and working forest lands that protect soil, water, plan, wildlife, and other natural resources. Funds from EQIP can be used to improve irrigation delivery systems – like water control structures, pipelines, and concrete ditches – that benefit individual or multiple land owners. The Conservation Stewardship Program (CSP) helps producers build on their initial conservation efforts while strengthening their operations through increasing crop yields, improving grazing conditions, developing wildlife habitat, and other measures. New Mexico has the second highest number of acres enrolled in CSP. The Agricultural Conservation Easement Program helps conserve agricultural lands through easements that limit non-agricultural uses and helps protect wetlands through easements that restore and enhance wetlands. Acequia associations are political subdivisions of the State of New Mexico, but unlike other subdivisions, they can’t levy taxes on users. Therefore, the cost of upkeep and repairs is borne by individual members of the community. Direct access to NRCS grants and technical assistance will give acequias access to needed resources to improve their farm and ranch operations, carry on their cultural traditions, institute sustainable practices, and protect our natural resources. What is the history of your acequia community, as you know it (or as you’ve been told)? The riverside village of Pilar is located 16 miles south of Taos at the intersection of State Highway 68 and 570 in Taos County. Pat Blumm, Acequia Commissioner jokes that, “the population of the village is about 120 people or maybe more like 150 if you count all of our dogs”. Pilar is the first populated community on the banks of the Rio Grande and was settled in 1775 by the Spanish as the Cieneguilla Land Grant. 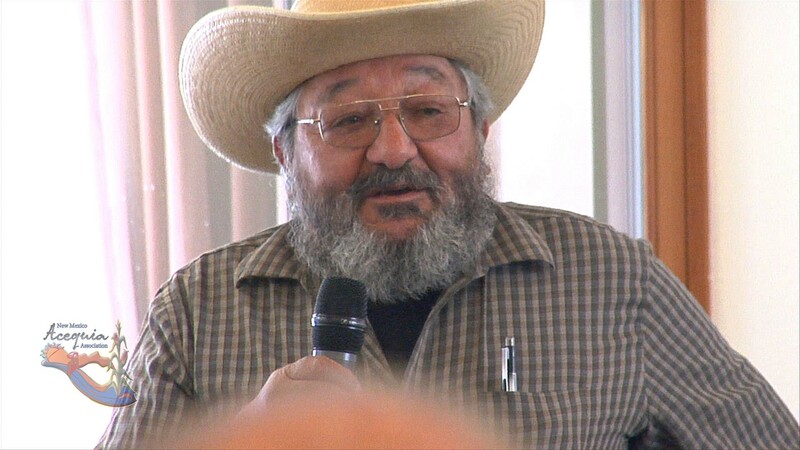 Pat excitedly confirms that, “the heirs of original settler families Vigil, Archuleta, Suazo, Sanchez and Gurule are still active members of our community and acequia today”. With a respectful interjection, Carl, Mayordomo of the Acequia adds, “However, prior to Spanish occupation the indigenous Ute and Apache people farmed and irrigated the land they called the womb from local springs on the north side of the Picuris Mountains. These 5 springs create the Aguitas Caliente Creek and today feed the five miles of the Pilar Acequia Association. A historic event that occurred in our community was the Battle of Cieneguilla on March 30th 1854 an act of resistance of the Jicarilla Apaches and Ute Allies against the American 1st Cavalry Regiment from Fort Burgwin in their attempt of Western Expansionism in the Four Corners Region”. The result was an Apache/Ute Victory with a retreat by the dragoon regiments to Ranchos de Taos after 20 were killed and 30 wounded by flintlock rifles and arrows. Carl testifies that, “We typically irrigate the months of May through September with 6-7 days of irrigating a week and refill our holding tank every night. The association is currently trying to re-establish our water tank to have more capacity allowing us to irrigate all summer which the acequias in Taos do not have that ability”. What are your commissioners and mayordomos doing this time of year? Pat explains that, “the commission has been focusing on putting in pipe in the slow and troublesome spots to keep the velocity of the water going. Have recently installed a new headgate at our lower pond and even dredged a part of the lower pond. In addition to this, the Commission is working tirelessly alongside the Taos Soil and Water Conservation District, NM Acequia Association and the Interstate Stream Commission to apply for monies, conduct infrastructure repairs, updating bylaws and ensure compliance with state law”. What makes your acequia special? It is difficult to write a piece on ‘the art of acequia irrigation’ at a time when so many parciantes are already feeling the effects of water shortage. Many acequias are dry or drying up and irrigators are struggling to get sufficient water to their fields. These times of water shortage remind of times when the ancestors of acequia culture also withstood drought. Times of drought likely motivated our water sharing customs in addition to the development of methods, crops, and ceremonies that helped weather water scarcity and became cornerstone to acequia traditions. Research into acequia culture across the region has allowed me the privilege of interacting with many acequiero/as that shared information with me which is profound and relevant in adapting to water shortage. In my last article on acequia irrigation in the Summer 2017 edition of ‘Noticias,’ I wrote about the traditional terracing systems in the acequia landscape and re-creating irrigation structures that create water conservation in soils through refined irrigation techniques. Application of these techniques can conserve irrigation water as soil moisture that can have lasting benefits through the growing season and beyond. But once acequia waters run out, other methods need to come into play to optimize the harvest given the potential deadly effect of water scarcity, heat, and wind to crop production. A primary consideration for weathering drought is to shift the cropping system toward crop types that are hardier during dry years. A memory of “secano” or “al temporal” styles of dryland or rainfed agriculture reminds of us the potential for crops to survive, and even thrive, during dry years. Crops such as habas (fava beans), alberjón (peas), trigo (wheat), cebada (barley), garbanzo beans, lentils, and a diverse array of beans like bolitas have been successful in dryland conditions. Many of these crops are also frost tolerant and can make use of early springtime precipitation, even snow, and will not freeze while giving us a head start on the season before water stress of the summer fully sets in. 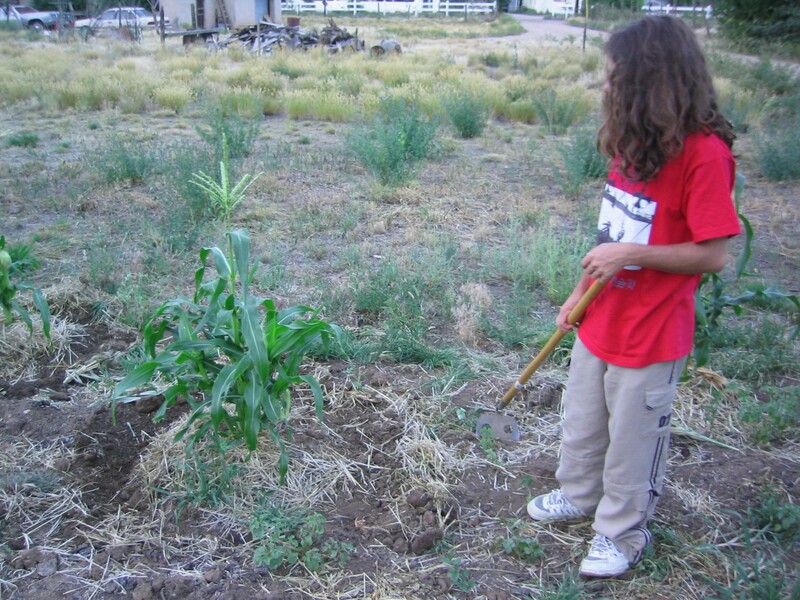 For acequia crop production in general, I remember the wisdom in the saying, “Es mas importante escardar y arrimar la tierra que regar.” (It is more important to cultivate your soil and mound your crops with soil than to irrigate.) This saying points to two of the most important things we can do to adapt to drought: care for our soils and care for our crops. Caring for our soils means limiting erosion, salinity, and building up the organic matter content. Augmenting soils with compost and manure adds organic matter, which then acts as a sponge to absorb moisture when it is available from irrigation or precipitation. Not only does adding organic matter help support the crops and soil microbiology, it is also the most promising tool for farmers and land managers to mitigate climate change by putting carbon from the atmosphere back into the soil. Another important, and maybe the most important, factor we have to remember that comes with acequia culture is the importance of faith in our activities. An elder woman once shared with me that the reason we are suffering drought is because we aren’t gathering at the church to take the Saints on processions along the acequias and laterals during dry spells. There is much reason to believe that gathering in ceremony can create positive effects in the environment through our collective intention. Relationships between neighbors can also be strengthened and maintained through this kind of gathering; relationships that can also strengthen our sense of community, security, and mutualism in ways that were common to acequia culture in the near past. 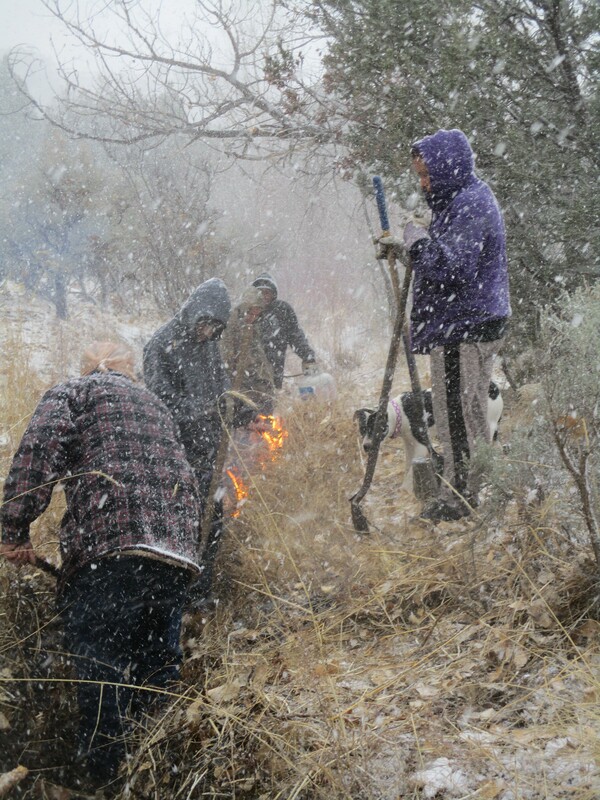 If we re-learn to equitably share scarce water and work together in community, we can not only have a better result at harvest time, but also maintain the essence of acequia culture that allowed us to survive in community over millennia. 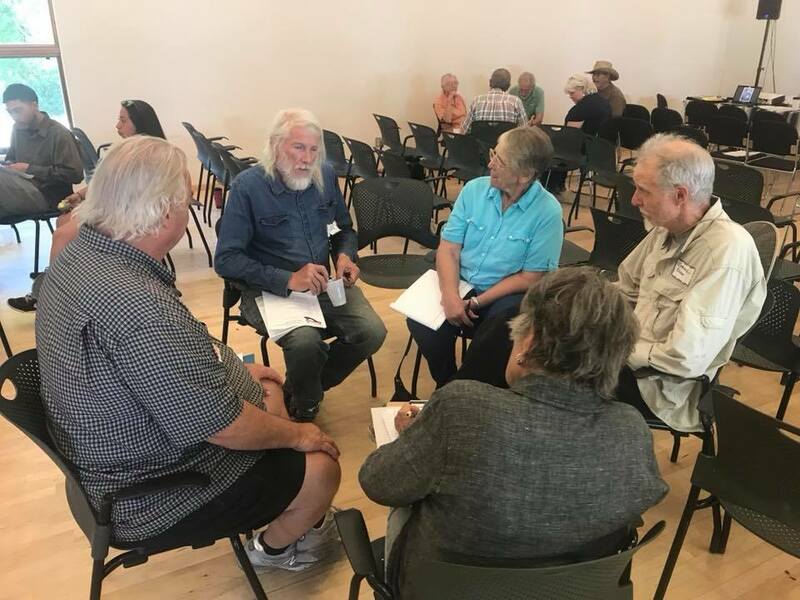 On April 3, 2018 acequia leaders from across the state gathered at Los Luceros Ranch to strategize about water management during times of drought. The main topics of the gathering were water sharing, active water resource management, and water quality. The dialogue began with Chris Romero, NRCS Hydrological Technician and Snow Surveyor who reported on the science of our current snow pack condition for the state of New Mexico. In April, the state was at an overall 15% snowpack with a projection that the runoff will be over at the end of May. Unfortunately, we are not getting either snow or rain! Chris also reported that we have a 7% snow water equivalent when in normal years we have at least 34%. How far off is this from our normal in New Mexico? In a thirty year average, 2018 is in the bottom tier for the worst year in precipitation and snowpack. 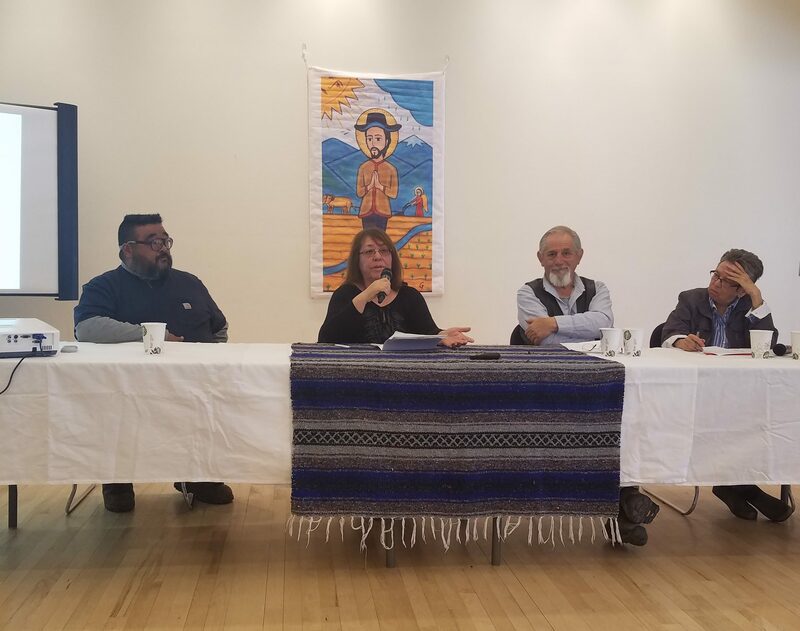 Afterward, esteemed acequia leaders from Taos, Embudo and Anton Chico facilitated a panel discussion that focused on water sharing practices between acequias. The panelists explained that historically acequias have rationed water equitably based on verbal understandings or written agreements. These water sharing practices continue today and are especially relevant during this year’s drought. Water sharing agreements keep the management of acequia water under local jurisdiction. The next panel consisted of commissioners who have endured long standing disputes about water within the context of adjudication or administration of basin specific rules and regulations implemented by the State Engineer. Commissioners within the Rio Gallinas, NPT (Nambe, Pojoaque, Tesuque) and Rio Chama expressed concerns with the installation of meters, being assigned water masters, and having to report to the State Engineer acreage “to be irrigated” during the irrigation season. Commissioners expressed their continued resistance to the systematic unraveling of our acequia systems and affirmed local autonomy, decision making, and leadership development for the future of managing of our watersheds. Finally, the topic of water quality was discussed to raise awareness of the potential devastation of acequia-served farmland due to discharge and effluent being dumped into rivers by municipalities and cities. The conversation extended beyond protecting farmland and addressing the need to protect fish and wildlife. Participants were encouraged to get involved and keep the State’s Water Quality Control Commission accountable and to do their own water testing. The outcome of the summit encouraged acequias to begin organizing more intentionally around creating water sharing plans that adapt to a changing climate, changes to western water law and affirming cultural customs in our communities. At a minimum, acequia leaders must critically engage in the administration of water, be vigilant in ensuring that water metering agreements are fair and water meters are accurate, and get more involved with county governments especially on developing land use codes that protect acequias. Commissioners and Mayordomos are encouraged during the drought to take inventory of farm infrastructures and beginning making improvements by applying for funding and creating an infrastructure capital improvement plan. The NM Acequia Association appreciates and affirms the uniqueness of every acequia especially as agriculture is under great pressures. 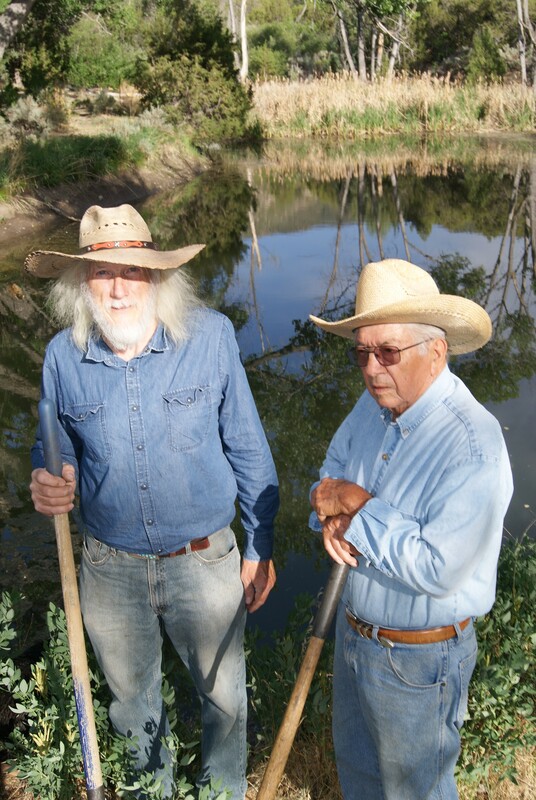 We extend our respect to and appreciation for acequia farmers and ranchers who are exercising their water rights and defending land-based ways of life. A more in depth discussion about acequias and drought will take place at the 6th Annual Commission and Mayordomo Conference on Thursday, June 21st 2018 at Los Luceros Ranch in Alcalde, NM. 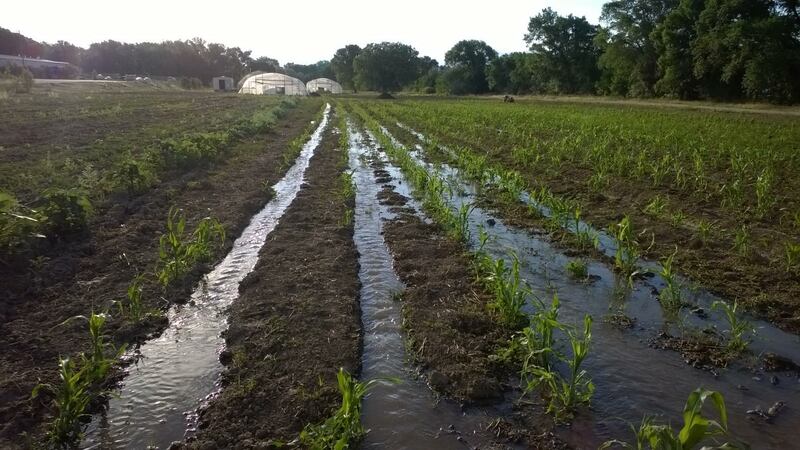 Please join acequia leaders to learn more about water management, conservation, and planting methods as we move into an era of unpredictability with the climate and agriculture. My heart sank as I drove over the bridge last week. Here on both sides of Highway 75, the Embudo River pockmarked the stream bed interrupting mud and cobble and willow. It pooled right around the presa for Acequia de la Plaza but went no further. Today my heart broke. It is completely dry on both sides of the bridge. Most of us who read the New Mexico Acequia Association newsletter know that our acequias, while resilient, are extremely vulnerable. We not only know, we are experiencing it firsthand. Land division, residential development of agricultural land, water fragmentation due to urbanization, climate change, loss of traditional knowledge, aging population of parciantes, etc. all contribute to the potential deterioration of our communities’ most precious resource and our rights to it. Similarly, our native pollinators (bees, wasps, butterflies, moths, flies, and beetles) are experiencing grave decline. Land loss and fragmentation of habitat, climate change (which affects timing of blooms, pollinator lifecycles, and etc. ), pesticide poisoning, and disease are all causes to their perils. It is no coincidence that the challenges to our acequias and our native pollinators overlap as they are interdependent features of our landscape. Yet within this mutual tragedy of each, there is a solution for both. I propose that by planting pollinator refuges, we can preserve and support pollinators, water rights, and the land itself. Pollinator refuges are spaces that are intentionally planted to invite pollinators to forage and create nesting sites. When I emailed NMAA Staff Attorney Enrique Romero about whether pollinator refuges could be considered legally a ‘beneficial use’ of acequia waters, he commented, “In my opinion, it is beneficial use provided that irrigation is occurring in a manner that is not wasteful and there is substantial effort on the part of the water right owner to irrigate and ‘cultivate’ the garden. Another important aspect of this question is whether the ‘gardens’ are actually planted or part of the native vegetation that would grow without irrigation. Case law on the subject of beneficial use suggests that whether a use is beneficial depends on whether the community in which the use is taking place considers the use beneficial, i.e. 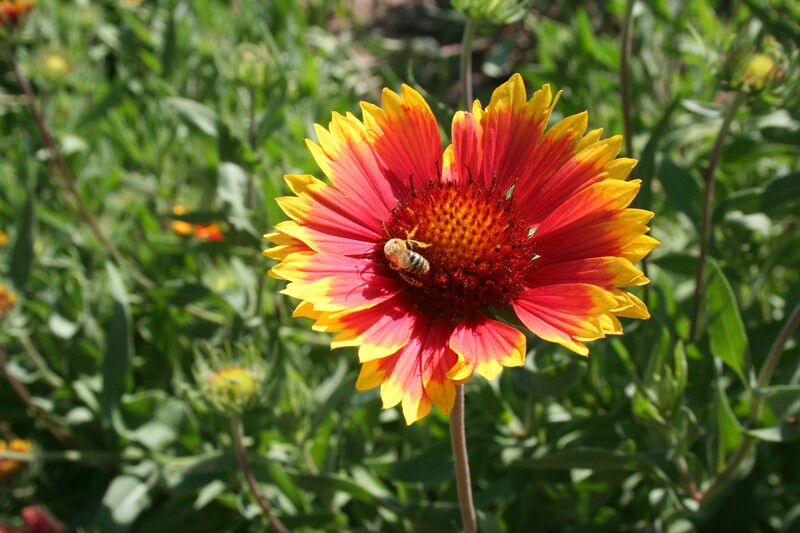 whether it is ‘socially accepted’ as a beneficial use.” My hope is that by reading this article, members of acequias across New Mexico and Southern Colorado will begin to consider pollinator refuges as socially acceptable use of the water. Pollinators are a keystone species, because many other species rely on pollinators for their survival. As indicator species, their health signifies the health of the surrounding ecosystem. Even though riparian areas represent only 2% of the overall area in the southwestern desert, it is not hard to imagine pollinators being a crucial element to the delicacy of these ecosystems. For example, studies have demonstrated that diverse plant communities along the riparian areas support insects which become food for fish. Bosque habitats have been documented to support 42% of mammals, 38% birds, 33% reptiles, and 13% of the amphibians of the arid West. And more than 90% of birds rely on insects during at least one stage of their life. Our acequias expand these riparian areas as well as provide habitat for various species, including native pollinators. Given that so many are unable to farm their fields, a pollinator refuge may be a simple solution for using the water in a low impact, low maintenance way while maintaining water rights. Three years ago, I planted a pollinator garden behind the Embudo Valley Library with a grant from the Partners for Fish and Wildlife Program and the help of several volunteers. I selected wildflower and grass seeds that were native to the high desert and drought tolerant. I also planted hedges and perennials as well as built pollinator hotels and drilled holes into logs. My intention was to make the garden as low maintenance as possible while also planning for upcoming water shortages on the ditch. Since the first season, I have hardly weeded as the garden has suppressed most of the unwanted plants, including bindweed. The wildflower meadow can also serve as a cover crop that maintains the soil biome and keeps the top soil intact all growing season. Furthermore, the garden has benefited the community as a seedbank for those who wish to invite pollinators to their land. Each year in the garden, I revel in the return of lacewings, ladybugs, wasps, bumble bees, swallowtails, and more as well as the stain glass, season long array of blooms. Native pollinators are equally if not more important to pollinating crops and native plants than the honey bees, which were introduced to North America and did not evolve with our native ecosystems. Considered to be potentially more “efficient” and “effective”, native pollinators, as studies indicate, are well suited to our native plants as well as many of our food crops. However, the same efforts to support the health of native pollinators will also bolster honey bees since each peruse many of the same flowers. 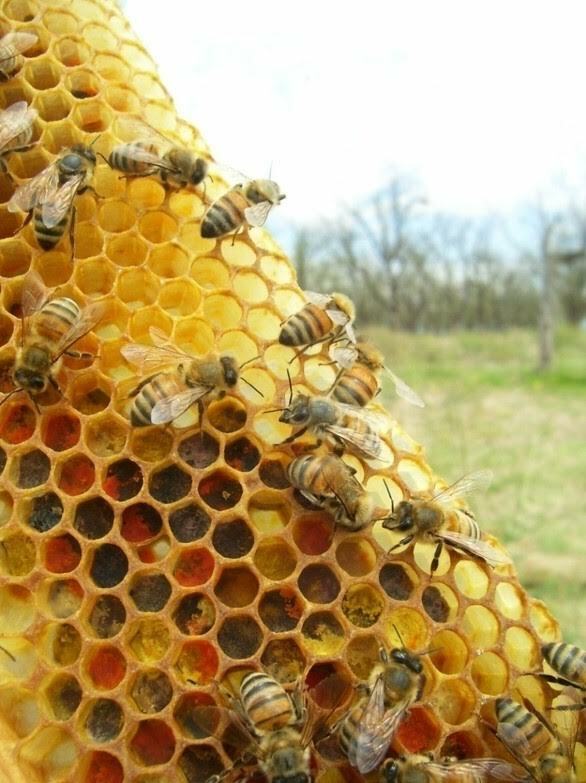 Since the intention for a pollinator refuge is to have a Spring until Fall succession of blooms, a parciante may be able to rent their field to a beekeeper to earn some extra income and be able to receive help with irrigation. We can call the parciante a sort of passive micro-rancher. As farmers and ranchers, we are the barometers of climate change. Scientists can eloquently quantify the effects, but we can both quantify and qualify them, because we experience these calamities intimately. Therefore, we are the ones who are proactive in maintaining our communities’ dignity and livelihood. By providing habitat in the form of contiguous pollinator refuges, we can repopulate our watersheds with pollinator habitat while promoting pollination and maintaining the access to our water. This year may not be the year to plant more than what we can water, but consider scattering some seeds for our pollinators and for our acequias in the Fall with hopes of next Spring. Email me with comments or suggestions at Rosenberg.adrienne@gmail.com. 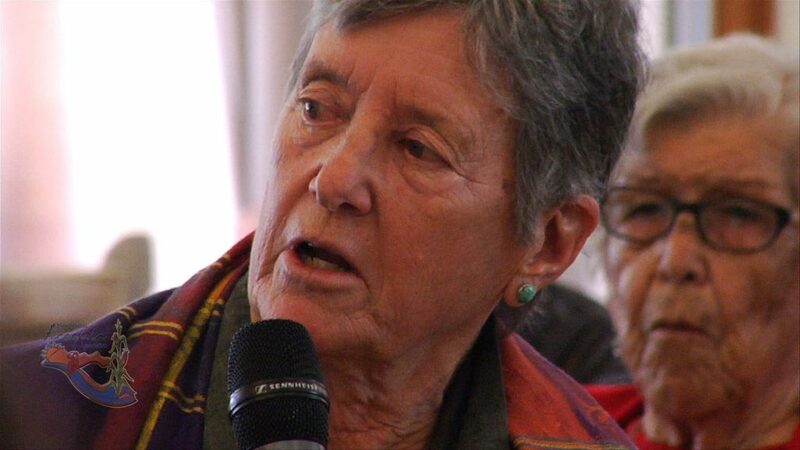 Bio: Adrienne Rosenberg lives in Embudo, New Mexico. She owns Woven Web Farm, which grows gourmet mushrooms, and is an audio documentarian. Her work has focused on local knowledge and stories of resilience through the land. Gophers, prairie dogs, and other mammal pests can indeed damage fruit trees, garden vegetables, and agricultural crops. In addition to damaging plants, gophers may burrow into levees and ditches damaging irrigation systems, harvesting equipment, utility cables, and can cause enhanced soil loss by erosion. According to the National Center for Appropriate Technology, Alfalfa provides a very desirable habitat for several mammal pests that include mice, gophers, ground squirrels, and rabbits. Proper identification of the species involved is critical, because control measures differ with each one. Assistance in correctly identifying the animals causing the damage is available through the local Extension service. Field Mice (Mictotus spp), also called meadow voles, dig short, shallow burrows and make underground nests, creating trails about two inches wide that lead from their burrows to surrounding areas of the field where they feed. Control measures consist of cutting the surrounding vegetation in ditches and adjacent fields, trapping (which can be impractical when populations are high), the use of ammonium-based repellents (check with certifier), and habitat creation for raptors and mammal predators such as coyotes, foxes, wildcats, weasels, and shrews. Gophers (Thomomys spp.) are burrowing rodents that feed mostly on underground plant parts, with alfalfa being one of their preferred foods. Besides weakening or killing the plants, they also damage irrigation ditches and borders. The mounds of soil they push up from their burrows also bury other plants and cause obstacles for the harvesting equipment. Non-toxic controls consist of trapping, flooding the burrows, surrounding a field with plants that repel gophers, such as gopher spurge (Euphorbia lathyrus) and castor bean (Ricinus communis). Depositing predator urine, pine oil, or any other foul smelling substances in the burrows has been reported to provide temporary control. The use of barn owl perches to attract these predators has been successful in controlling gophers in California. On average, a barn owl can eat 155 gophers per year (Power, 2003). Propane devices that ignite injected gas, causing the burrows to explode, are reported effective in reducing populations temporarily. Check with your certifier before using this method. Additional treatments are necessary, depending on the length of the season. Control measures include trapping, baits and fumigants. Some of the baits and fumigants are restricted and not available to homeowners. Professional pest control companies are beneficial in this case. Exclusion by “fencing” root systems of landscape plants as protection from gophers is recommended, but this should be done with caution. The hardware cloth recommended for this purpose can girdle tree and shrub roots, resulting in plant death if installed too close to the plant. The appropriate distance to install hardware cloth from the plant will depend on specific plant root systems. Lining the base of raised planter beds with hardware cloth can help protect vegetable and flower gardens. Some plants may be advertised as gopher repellent plants, but these are just plants that the gophers will avoid, going around or under them to get to desired plants. At least these are plants that gophers will usually not damage; however, some of these plants have their own negative characteristics, such as causing dermatitis in humans. 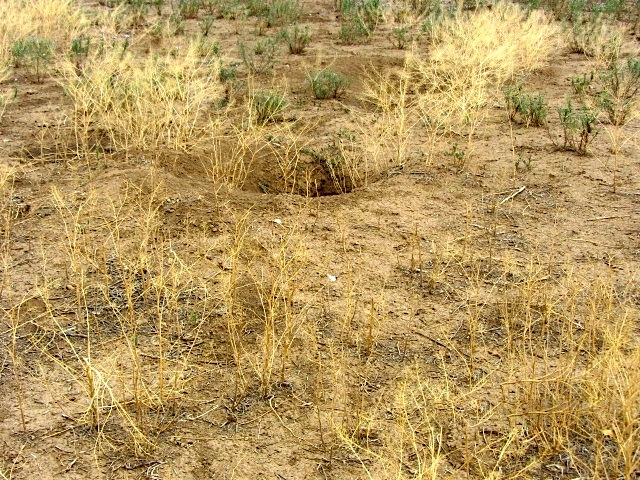 A good place to look for control information is NMSU Extension Publication, L-109, Controlling Pocket Gophers in New Mexico (http://aces.nmsu.edu/pubs/_l/L109.pdf). Robust monsoon predicted. On Wednesday April 11th folks gathered to learn and teach about soil health at the NMAA teaching farm in Chamisal. This drought year is the perfect time to think about soil health; most of the water we will receive will be from the intense monsoon rains. Almost all climate models are predicting a robust monsoon season and this comes with particular challenges for our soils and plants. When this intense, heavy rain falls we want it to penetrate deep into our soils, feeding the plant roots, and recharging our aquifers. 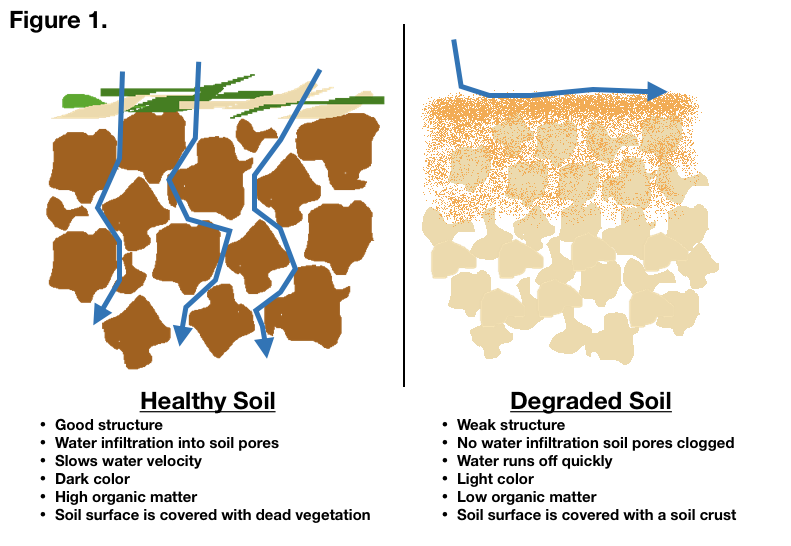 Having healthy soils with lots of organic matter, good structure, and a covered soil surface will help us keep the little water we will get ( See Figure 1). Diversity. Acequia irrigation systems require us to have community consciousness making both our plant and human communities robust in times of change. In the workshop we heard about the many unique soils and farming goals all the participants had. A diversity in farming perspectives, techniques, management and adaptation plans are absolutely necessary for resilience. The same goes for soils! A diversity of life and components within soils makes them healthier and more resilient! Time and change. The beautiful rich topsoil on the Chamisal farm is some of the best in the state for growing food. It takes about 500 years for one inch of that soil to form. However, the degradation of soil health through intensive agricultural practices such as over tilling or over grazing can happen in a season or two! 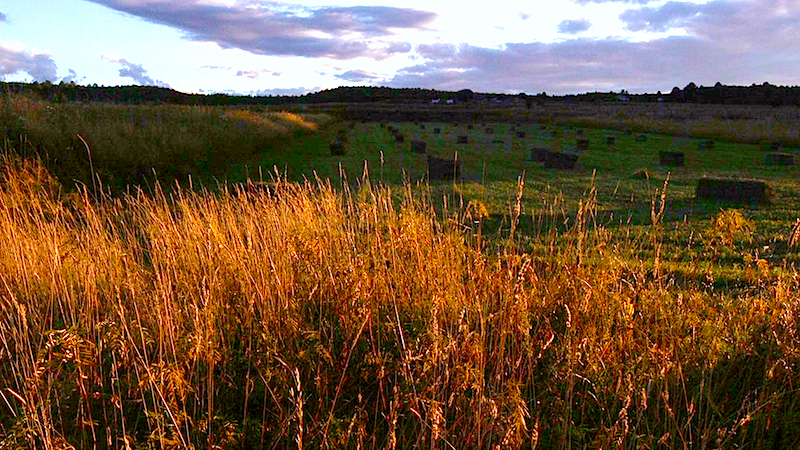 Restoring soils to their previously healthy state can take decades if it is possible at all. 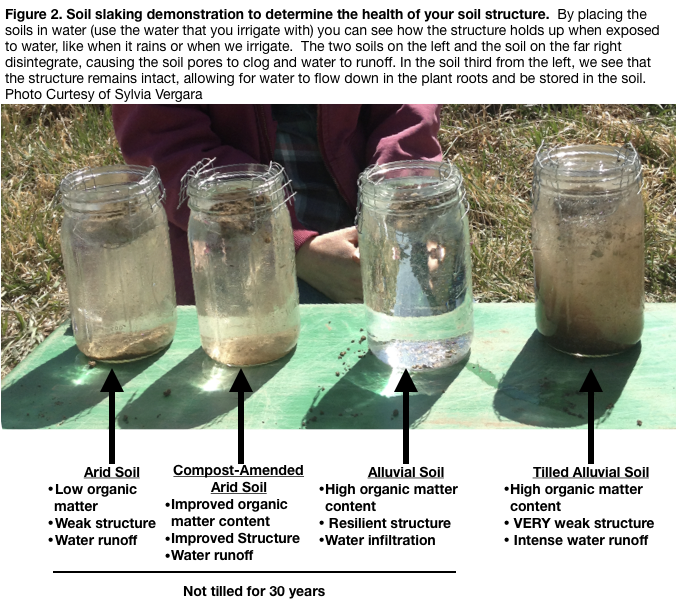 Soil degradation destroys the ability of soils to capture and store water (see Figure 2). New Mexico Soils. Not only is New Mexico’s seasonal weather pattern unique, but so are the soils themselves. 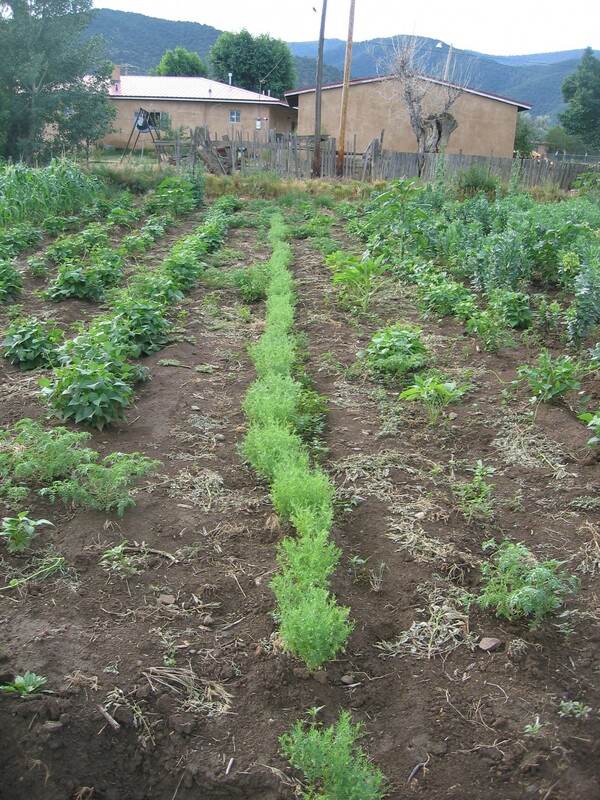 At the bottom of this article you will find resources specific for our New Mexico soils as most other farming and gardening literature is meant for eastern or coastal soils and climates. A. Will water runoff or infiltrate? B. Will nutrients stick to the soil particles, making then available to plants or will they run off? C. Will tillage greatly deteriorate the soil structure or can the soils stand up to light tillage? At the bottom of this article is a reference to a chart to help you determine your soil texture by feeling damp soils with your hand. Organic Matter content- This is how much organic (plant, animal, microbial) material we have in our soils and it is important for aggregation and holding and supplying water and nutrients. You can get a rough idea of this by looking at soil color, if it is a beautiful dark brown, you know you have high organic matter (see Figure 2, 2 soils on the right). In New Mexico we have some very beautiful soil colors: yellow, red, light brown…however all these colors indicate very low organic matter. We have a hard time growing plants like blueberries and blackberries. We can change the pH of our soil slightly by adding elemental sulfur usually sold as ‘Soil Acidifier’, but this takes a lot of monetary investment. Instead we can choose to add phosphorus rich amendments like chicken pellets and grow crops tolerant of our high pH soils like carrots, cauliflower, corn, garlic, lettuce, winter squash and peppers. Make sure they give you the sodium adsorption ratio: this will; tell you about the stability of your soil aggregates when watered. Lastly, if you plan on applying your own compost or manure to the soil as an amendment get that tested too. Acequias and land grants are prominent public bodies that demonstrate a history of good record keeping practices. Today, secretaries and other officers possess maps, membership lists, bylaws, and financial records that go back hundreds of years. 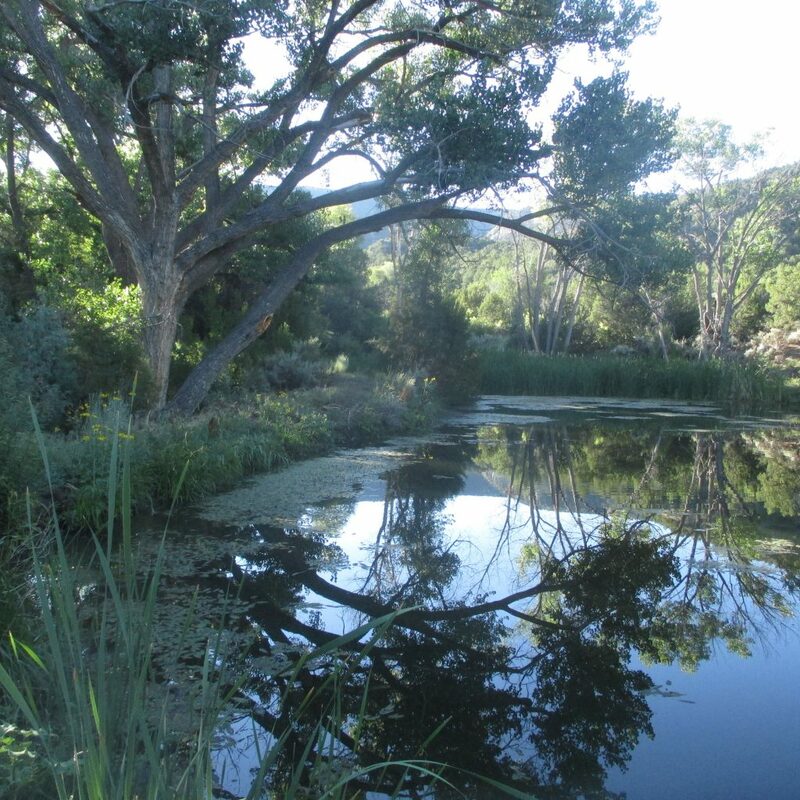 These repositories are a beautiful testimony of how local governments like acequias are serious about preserving the acequia system for future generations. 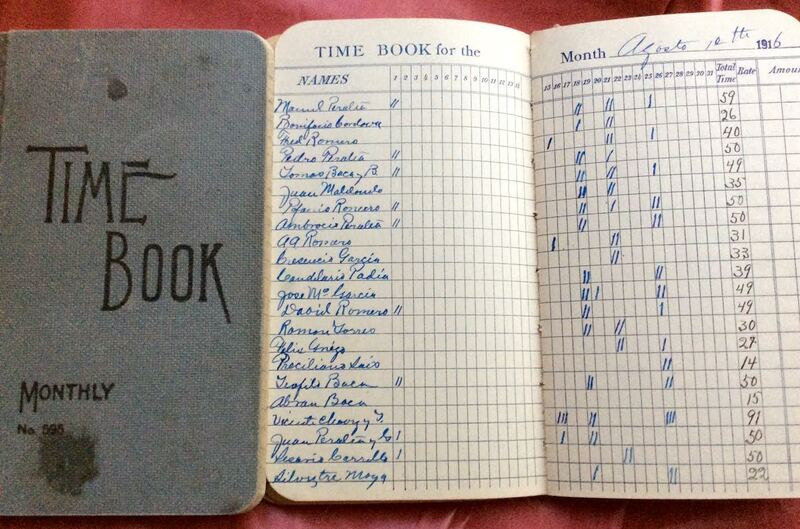 Maintaining records is only part of the preservation efforts. Community access to records not only provides a healthy, transparent system of governance; it also provides a concrete link to prior generations of acequieros. 1.Choose a Good Record Keeping Tool: Acequias have kept a historic ledger that captures the activity within the acequia and tracks workers, assessments, and delinquencies over years of operation. Find a tool that is accessible and user friendly like a written ledger, Excel, or QuickBooks depending on the professional experience of your commissioners. All are sufficient if you can quickly generate a report for your upcoming meeting, complete your Tier certification with the Office of the State Auditor, or manage an infrastructure improvement plan. 3. Give Your Records a Home: Many times new commissioners will inherit filing boxes filled with acequia records. It is always important to keep your records safe and protected from the elements. Consider purchasing a filing cabinet or other durable storage container that can be passed on from one commissioner to the next during periods of transition. Acequias may consider asking local organizations or partners – like irrigation districts – if they would be willing to provide a more permanent home to older acequia records. The request should go to the commissioner, usually the Secretary, who has custody of the record requested. The IPRA only apply to written record requests. If the acequia receives a verbal request, the acequia should still provide inspection of the records but will not be held to the timelines and other provisions in the IPRA. The request must include the name, address, and telephone number of the requestor, and identify the records sought with enough specificity to allow the custodian to identify and find them. No reason for inspection is necessary. The custodian must respond to the request in the same medium it is made. If the request is mailed, respond by mail. If the request is e-mailed, respond by e-mail. Within 3 days of receiving the request, the custodian must permit inspection or explain in writing when the records will be available for inspection or when the acequia will respond. Within 15 days of receiving the request, the custodian must permit inspection or provide written notification that additional time is needed to respond. Additional time is only allowed if the request is “excessively burdensome or broad”. Otherwise, a request not granted within 15 days will be deemed denied. The requestor can then pursue remedies authorized by IPRA, including damages. To grant the request, redact protected information from the document(s). If you have a question about what information is “protected information” or exemptions from disclosure, please call NMAA. The exceptions are few. Some examples of protected information that the acequia may have in its custody include attorney-client communications and some “protected personal identifier information” which includes taxpayer identification numbers, driver license numbers and financial account numbers. For the latter, the last digits may not be redacted. Allow on-site inspection if requested. Provide electronic documents if requested and they already exist. Provide paper copies if requested. You can charge up to $1.00 per page of paper copying and the actual costs of downloading and/or transmitting electronic or paper copies by mail, e-mail, or fax. You can require advance payment before making copies and must provide a receipt upon request. The drought we are facing is real – while I continue to hope for precipitation there is no avoiding what is. We can look to history that analyzes drought in terms of tree ring growth and people’s teeth. It was not long ago that a small harvest meant eminent hunger for a community. While we may have alternative means of feeding ourselves, the economic impacts of drought for those who live off the land can be quite profound. Without plentiful hay harvests, the price of pastura skyrockets, and many folks are forced to sell off large amounts of their livestock holdings. Farmers under the MRGCD are looking at the possibility of being cut off from water in late June, a very short season especially for those market farmers who depend on the water to make a living. And yet drought after drought the people of this land have persisted. Drought means hardship, and the best way to address hardship is to see it as an opportunity, a chance to be creative, and a reminder of how precious our world is. The long view has us eager to care for our watersheds and considering how to be careful with our aquifers. There are myriad ways to adapt and survive a drought all which will be unique to your goals and land. We encourage you to share with us your stories and the strategies that work for you so we can share them with the statewide acequia community. While severe drought may be intermittent, we know we have been entering hotter drier times challenging the plants and animals we care for. Let us be aware of how we live on this earth and attempt to tread as lightly as we can for the sake of future generations. One final thought, what-ever your faith, pray for rain!